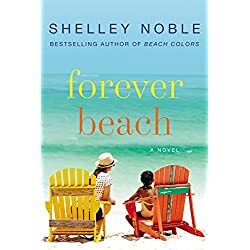 From the New York Times bestselling author of Beach Colors and Breakwater Bay comes this heartwarming story of love, family, and redemption. Two young girls pledged to be best friends forever. Separated by circumstance and hurt, they are reunited years later as they struggle to put their differences aside for the sake of a special little girl. Sarah Hargreave is anxious to finalize the adoption of her foster daughter Leila. Once a foster child herself, Sarah longs to become Leila’s “forever” family and give her all the love and stability she was denied in her own childhood. When Leila’s biological mother suddenly reappears and petitions the court for the return of her daughter, Sarah is terrified she’ll lose the little girl she loves to the drug addicted mother who abandoned her. Having grown up in foster care, Ilona Cartwright fights for the rights of children who have no one to fight for them. But to Sarah she is Nonie Blanchard, who grew up in the same group foster home as Sarah. They’d promised to be best friends forever, then Nonie was adopted by a wealthy family, and Sarah never heard from her again. Sarah still hurts from the betrayal. But Nonie harbors her own resentment toward the past. Perfect for fans of Kristin Hannah, Elin Hilderbrand, and Karen White.